IAOP thanks our corporate and professional members for being part of our collaborative global community. New and renewing members include: Accenture; ACN; Aegon/Transamerica; Aeliasoft Software Development; Ameriprise Financial; Ancestry.com; Auriga, Inc.; Avasant; Baker & McKenzie LLP; Belcan; Bird & Bird LLP; Blue Cross Blue Shield Association; Boeing; Brother International; BSI; CA Technologies; Capgemini; CDPHP; CGI; Cigna; CISQ; Coleago Consulting; Conagra Brands; Cushman & Wakefield; Customer Services Audit Ltd; Deloitte; DLA Piper; Dow; Duke Energy; DXC Technology; Ellucian; Emerio Globesoft Pte. Ltd.; Ernst & Young LLP; Facebook; Fannie Mae; Fiserv; Flagstar Bank; Flexential; General Motors; Goodmans LLP; Gorrissen Federspiel; Grid Infocom; HCSC; HERE Technologies; Humana; IBM; Indian Institute of Technology, Kozhikode; Indus Net Technologies; Infosys; Integrated Corporate Services Ltd; Intel; Intetics Inc.; IQVIA; ISG; ISS; Kelly Services; Kirkland & Ellis; KPMG; Lead-It; LegalBase; Microsoft; NIX Solutions; NTT Data; P4I SpA; Pivotal; ProView Global; Quint Wellington Redwood; ScaleHub AG; ServicEngineBPO; Severstal; Sitel; Softjourn; Sogeti; State Farm; StubHub; Suncorp; Synchrony Financial; Target; Techno Brain BPO ITES Ltd.; The Guardian; The Procter & Gamble Company; Transformation; USAA; Vic Lawrence & Associates Limited; Virtustream; Workforce Management Solutions, LLC; and Zurich North America. Questions about IAOP membership? Email memberservices@iaop.org. Membership in IAOP provides access to an extensive array of services, and just as importantly distinguishes organizations and professionals as leaders in the field of outsourcing. Organizations that are currently outsourcing or are considering one or more outsourcing initiatives should become Customer Corporate Members of IAOP. This membership provides organization-wide access to the association’s research, training, certification, and networking programs – all designed to help companies achieve better business results through outsourcing. Outsourcing service providers and advisory firms should join IAOP as Provider/Advisor Corporate Members. This membership provides the same organization-wide access to IAOP’s research, training, certification and networking programs as Customer Corporate Membership, but also includes member-only sponsorship opportunities that serve the marketing and business development needs of these companies. Professional Membership is available to individuals either as part of their company’s Corporate Membership or on an individual basis. This membership serves the needs of practitioners working in the field of outsourcing as customers, providers or advisors. In addition, it provides these professionals with direct, personal access to association services. In order to ensure a free-flowing exchange of information among all of its members, IAOP maintains a strict non-solicitation policy. Associate Membership is IAOP’s free membership, which allows attendance at one chapter meeting as an IAOP guest and access to select online resources. You will be added to our database to receive emailed updates on what’s happening at IAOP. Student Membership is available to all full and part-time students actively enrolled in a college or university. Student Membership provides direct access to IAOP services and includes full use of the association’s online knowledge center, Firmbuilder.com®. Available quarterly online, our e-zine features in-depth coverage of the industry, issues, trends, geographies and vertical sectors and functions; thought leadership and case studies, probing Q&As, C-level interviews and profiles; as well as exclusive and insider coverage of IAOP events, programs, awards, research, training and certifications and surveys. Members get a free subscription, advertising discounts as well as the opportunity to submit content. Firmbuilder.com is IAOP’s online repository houses more than 1,000 articles, including chapter meeting presentations, conference proceedings, industry whitepapers, research articles and more. Members have full access. Through its active and expansive chapter network, IAOP members can share their expertise and find knowledge on best practices for specific industry segments, topics and geographic areas within outsourcing. 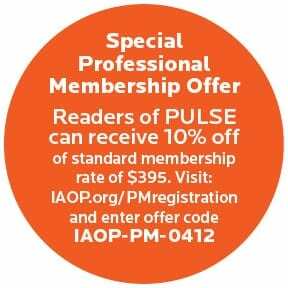 Access to any and all chapter meetings is included in IAOP membership. Summit.® Become a member and attend at a discount. Outsourcing Professional Certification Frameworks (OPCF) – IAOP’s trainings and certifications are the industry’s de facto. Whether you are interested in getting educated through the COP Master Class or becoming a Certified Outsourcing Professional (COP), there is a path that suits your needs. Members receive substantial discounts. Previously known as Global Supply Risk Monitor, Supply Wisdom is a unique Web-based product that enables clients to monitor, predict and manage the various risks in their services supply chain across countries, cities and suppliers, in real-time. Corporate Members receive one free monitoring service. OPBOK is a cohesive and comprehensive outline of the commonly accepted practices and skills required to ensure outsourcing success. IAOP members receive a 25 percent discount on the Outsourcing Professionals’ Guide to Corporate Responsibility eBOOK.